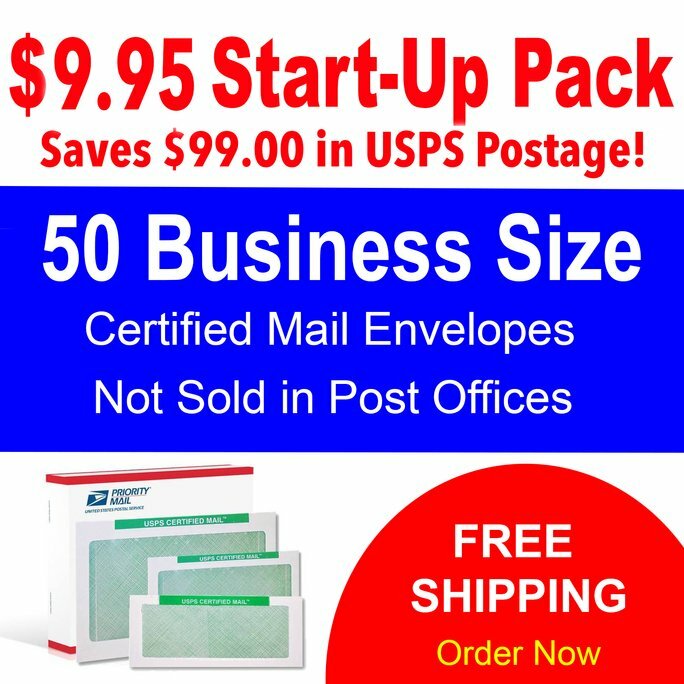 Approved USPS Certified Mail Envelopes - We make sending Certified Mail fast and easy. Sending USPS Certified Mail® to a PO Box? Can you send USPS Certified Mail® to a PO Box? Yes. This is a common question ask daily. You can send Certified Mail® to a P.O. Box in the United States. USPS Certified Mail® letters are addressed and delivered to the PO Box with no changes in mailers process. In other words you just address the letter using the PO Box instead of the street delivery address. When the USPS letter carrier delivers the letter the process that documents when the letter was received at the delivery address is a little bit different. 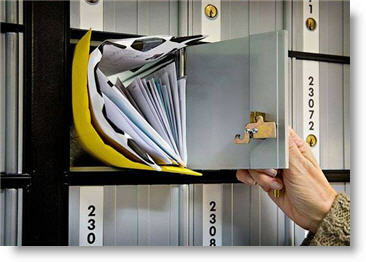 A delivery notification card is placed inside the PO Box instructing the recipient they have a Certified Mail® waiting for pick up from the Post Office window clerk. Because USPS requires someone to sign for each Certified Mail® letter the delivery notification card must be presented to the window clerk at the USPS Post Office. Then the recipient is presented the delivery confirmation Signature card and the date and time of the delivery confirmation are electronically captured and recorded by USPS. This is how the United States Postal Service handles delivery when you address a certified mail label or form to a PO Box. You can save time and money by sending USPS Certified Mail® by using Electronic Return Receipts a part of CertifiedMailLabels and Send Certified Mail. These labels and envelopes have been approved by USPS and do not use stickers or forms. This makes sending USPS Certified Mail® with Electronic Return Receipt fast and easy. The service includes proof of mailing, in-route letter tracking and Electronic Delivery Confirmation as proof of delivery even if you send a letter to a P.O. Box. Old fashioned Green Cards are expensive, hard to manage and can easily get mis-placed. By addressing your letters online you can print Certified Mail® tracking numbers, bar codes and skip the trip to the Post Office! No software to buy, no monthly costs or stickers or forms to fill out. Call us at 800-406-1792 to learn more about automating USPS Certified Mail®. We have Enterprise Solutions for mail houses and large volume mailers. Copyright © 2019 www.Certified-Mail-Envelopes.com. All rights reserved. USPS Certified Mail® is a Trademark of the United States Postal Service.